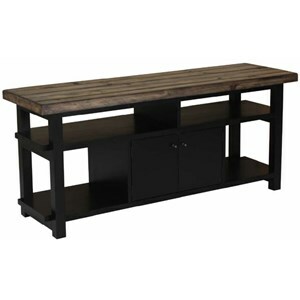 This TV stand blends the best of industrial and rustic style with its detailed, metal frame and distressed ash shelf tops. This textured feel and complementary blend of materials allows this piece to suit an array of different decors without feeling out of place. 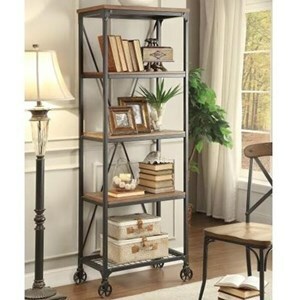 The shelving, casters, and wire management openings also keep this piece firmly in the realm of function. 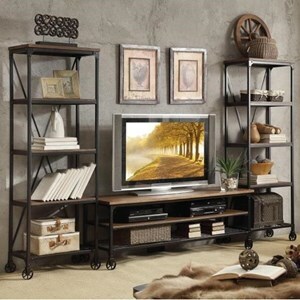 The Millwood Industrial Rustic 65" TV Stand with Casters by Homelegance at Value City Furniture in the New Jersey, NJ, Staten Island, Hoboken area. Product availability may vary. Contact us for the most current availability on this product. 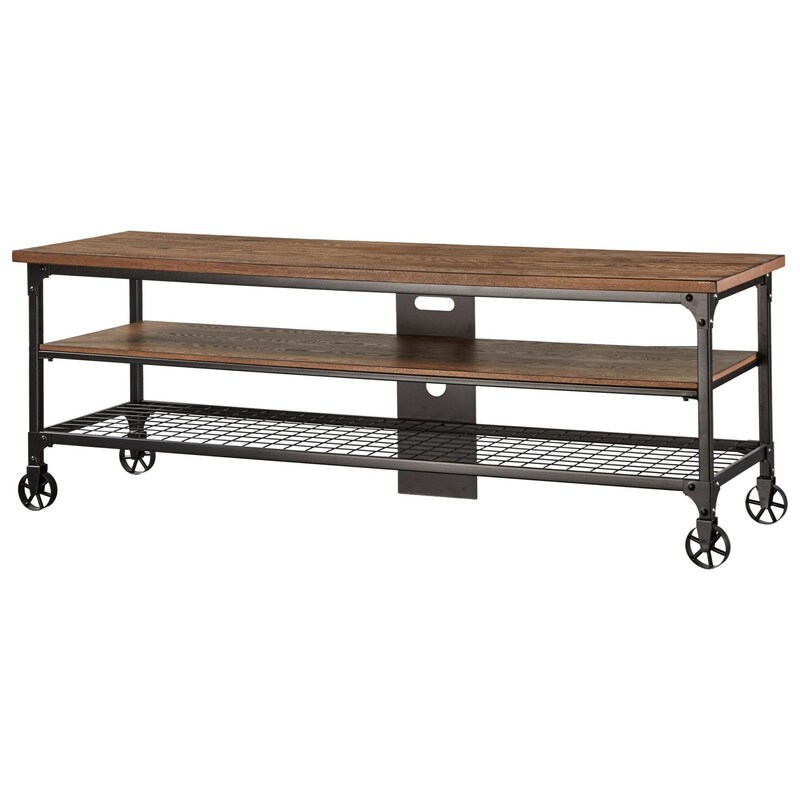 With industrial, metal frames and rustically distressed, wooden tops, this entertainment collection blends in with a multitude of styles by blending two complementary materials. The distressed finish lends texture while the shelving and casters lend functionality, making this collection effective as a whole or as separates. The Millwood collection is a great option if you are looking for Rustic Industrial furniture in the New Jersey, NJ, Staten Island, Hoboken area. Browse other items in the Millwood collection from Value City Furniture in the New Jersey, NJ, Staten Island, Hoboken area.